The Kuwaiti Incubator Babies - LIE. Behold the lie that the public behind the war - The Kuwaiti Incubator Babies...LIE. This entire story was manufactured. 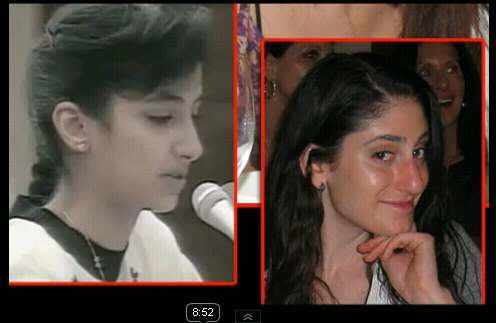 The "innocent" girl who testifies "tearfully", is, in reality, a member of the Kuwaiti royal family and her "story" has been given to her - she was coached. Behold the former head of the CIA and then current President of the United States, George H.W. Bush,...LIE...through his teeth, about the incubator babies. Do you think that the former head of the CIA would make up such a story? The Incubator babies of 1990 - LOL!!! How many lives and how many bilions did this lie cost? I include this point just to show how easy it is to fool everybody. A friend, F.B., recently pointed out that Nayirah has no accent. I had never thought of that, and neither did anyone else apparently. 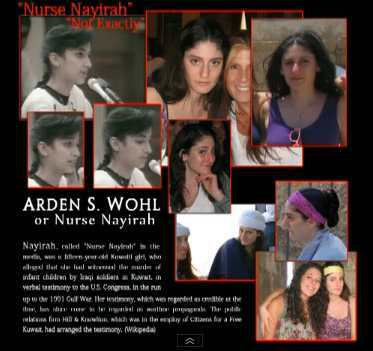 The idea that not only does Nayirah speak American English with no accent, but she just so happened to be a 14-15 year old helping out in the neo-natal intensive care unit in a Kuwait hospital during wartime when the Iraqi soldiers barged in to steal the incubators! Click here for a timeline on how the Nayirah incubator story unfolded.